Carla was able to get everything under control, thankfully, but it caused me to change the way I took care of myself, particularly when pregnant. The first thing I changed was my supplements. When I found out I was pregnant with Christina I started taking prenatals, alfalfa pills (for iron), and raspberry leaf tea. It’s important not to mistake raspberry leaf tea with raspberry tea. Many women do this. Raspberry tea is made from the berries (presumably) and in the majority of cases from artificial flavorings as well. Raspberry leaf tea is made from leaves from the actual raspberry bush. It is very ‘healthy’ and grassy tasting. What does the tea do that is so helpful? Your uterus is a great big muscle. As with all muscles it is helpful to exercise it to prepare it for the work it will be asked to do. But, how in the world do you exercise a muscle you have no control over? Raspberry leaf tea is a well known uterine strengthener. The constituents of this tea cause the uterus to lightly contract and strengthen itself, making your Braxton-hicks contractions more productive. It also helps balances your hormones. This advantage can be helpful whether a woman is pregnant or not. Taking before and while menstruating has been known to help with the cramping and bleeding of your cycle. Regular consumption of this tea is important if you are going to get the most benefits from it, particularly with birth. Your uterus needs to have enough time to get in the strengthening in order for it to perform at its best. Regular daily use has been attributed to a shorter 2nd, or pushing, stage and to helping the contractions progress at a nice, steady pace. With my births, I have a very short pushing stage. I don’t know if this is attributed to genetics or the herbs but considering I drink this tea by the quart daily I’m sure it has definitely been a contributing factor. It usually takes me a couple of pushes to get my baby from my cervix to completely born. This is wonderful when you’re experiencing transition contractions and the only thing you want in the world is to be done and finally holding your treasure. If you continue taking the herb after birth it will also help you get your uterus back down to its pre-pregnancy size. It will encourage your uterus to gently contract down and heal, thus helping your tummy shrink a little and your bleeding to decrease as well. Your milk supply will be greater and due to the vitamins and minerals in raspberry leaf it will also be of higher quality. 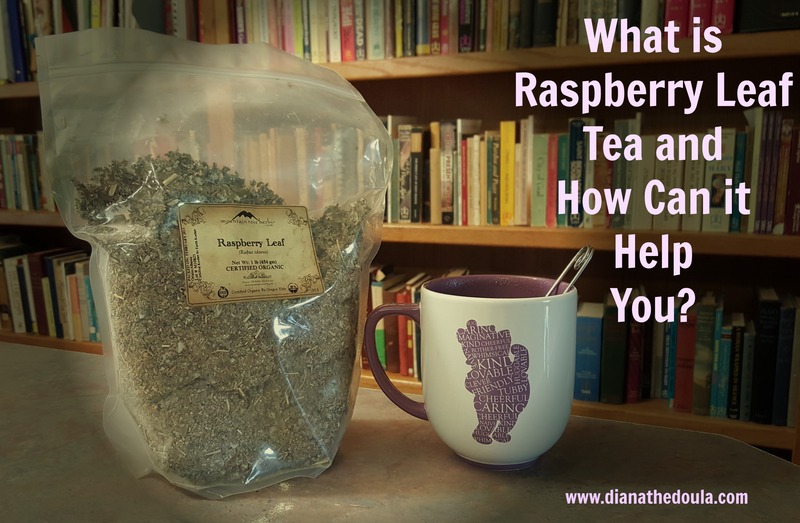 What vitamins and minerals can be found in raspberry leaf tea? There are a lot of vitamins and minerals in herbal remedies. This is why they are beneficial. Raspberry leaf is no exception. It is high in magnesium, iron, and Vitamins B and C.
Being high in magnesium, the tea is helpful with cramps, relieving stress and helping you get a better nights sleep. This is particularly helpful as sleeping is already so difficult while in your third trimester. The iron contributes to higher energy levels and better blood health. Being anemic during pregnancy is very common. Mothers need to look for natural forms of iron to help with better absorption. Other available avenues for natural iron supplementation would be alfalfa pills and Floradix. Vitamin B, particularly B6 and B12, increases your energy level and can help give some relief from nausea. As this vitamin is water soluble you can’t really have too much. Vitamin C is essential for immune health. One added bonus that isn’t widely talked about is how Vitamin C strengthens the amniotic sac. My water sac’s are always so strong that I’ve joked with my midwife about foregoing my vitamins and herbs, just to help my water break faster! I know this isn’t ideal, obviously, as baby needs a strong water bag during labor but when feeling that pressure, boy is it tempting!! If you are particularly prone to having fast labors (less than three hours) I would consider not drinking raspberry leaf tea, or maybe just not much of it. I want you to be healthy but it’s important to be able to make it to the hospital/midwife! Another consideration is if you’ve had a premature baby or a miscarriage. If your body tends to have its’ babies early, you should talk with your care provider before drinking raspberry leaf tea. To make raspberry leaf tea pour one cup of freshly boiled water (wait a minute or two after boiling) over one teaspoon of dried raspberry leaves. Cover the cup and let it steep a good 10-20 minutes. Another option would be to make your tea one gallon at a time. I pour a gallon of freshly boiled water (after waiting a minute or two again) over 3/4 to 1 cup of dried raspberry leaves. I cover it and usually let it sit and steep overnight. I then strain it and put it in the fridge. I fill up my quart drinking bottles and add a slice or two of lemon and a teaspoon or two of xylitol to sweeten it.